Sope Creek Elementary is a 30-year old public school in the Cobb County School district located in Marietta, Georgia. 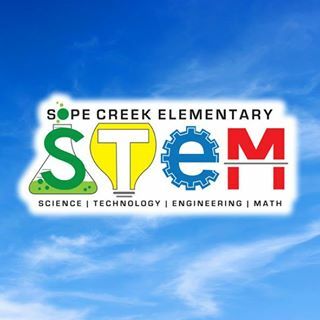 Sope Creek is known for innovative learning, high expectations, and a dedication to teacher and student voice and has received AdvancED national STEM Certification. This guest post was written by Linda W. Kurtz, STEM Specialist at Sope Creek Elementary. You can follow her at @Linda_KZ and Sope Creek @sopecreek. Cobb County School District is unique in the way it grows and supports teacher leaders. STEM education programs in Cobb cultivate problem solvers through problem based learning and critical thinking engagement with in science, technology, engineering, and mathematics. Students create, design, build, discover, and collaborate while developing contextual connections between school, community, work, and the global environment. Part of this vision is listening to the needs of out community partners. We currently have thousands of computer programming jobs open in our area and that number is only going to increase. To meet the needs of our community, we need to prepare our students for college and career readiness. For our students to be prepared for the demands of higher education, they need to not only understand how to code, but be leaders. 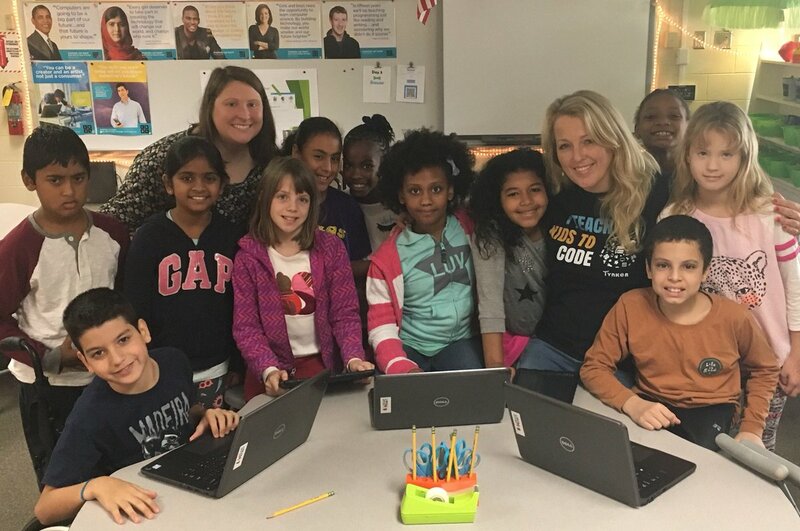 Cobb County school districts supports teachers and encourages them to meet the needs in their communities such as making coding a priority as we do at Sope Creek. Sometimes, computer science and coding are the great unknown. Typical teacher preparation programs do not include how to teach coding to children. A school wide coding program has to come from a teacher leader (or administrator) who has gone above and beyond to become educated about coding and why it is important. Teachers understand the need to teach logical, sequential, problem solving and perseverance, but not all districts make the connection with these skills and coding which encompasses them all. After listening to the needs of our community, parents, and post-secondary educators, it is clear that STEM education and the accompanying skills of critical thinking, communication, collaboration, and creativity are what is needed for our students to be ready for both college and career pathways. During vertical planning sessions, it has become clear that Cobb County Schools like Sope Creek are preparing students for future success. Vertical collaboration has become necessary as students are going to middle and high school with advanced skills that teachers have never witnessed before. Traditional middle and high school computer science and coding curriculum is quickly mastered by our students who have a strong background in coding. Our students are becoming fearless, armed with coding skills ready to tackle any new challenge, robot, drone, APP building, or game making challenge. Students are entering tech and robotics competitions at an exponential rate. All the confidence and skills students gain by learning computer science/coding are evident as students begin to surpass their teachers and are well prepared for their futures, ready to take on challenges and careers-some that don’t exist yet. Since computer science and coding education for teachers in Elementary and Middle school is not yet readily available, Tynker is a great resource. Students need a logical, sequential, computer science program to be successful, and teachers need lessons and professional development to help students rise to their greatest potential. Tynker has been a great asset to Sope Creek. Student programs are progressive and differentiated so students can work at their own pace and tracking student progress is easy for teachers. As a STEM specialist, my favorite Tynker feature is the opportunity for students to create their own games and APPS. Planning, Creating and Improving are at the foundation of good STEM education. Being able to meet the needs of your school and community through student created games and APPS leaves students well prepared for college and/or careers as innovators of their own designs.